Venezuela’s ongoing territorial disputes and border security concerns with several of its Caribbean neighbors make for an uneasy history. Caracas’ efforts to extend its reach in the Caribbean Sea largely involve maintaining a tiny islet 340 miles off the coast of Venezuela that requires shipments of dirt to remain above sea level and artificial reefs to stop its erosion. Since 1978, the governments of Antigua and Barbuda, St Kitts and Nevis, Dominica, St Lucia and Montserrat have had ongoing complaints at the United Nations regarding a Venezuelan claim to a 200 nautical mile Exclusive Economic Zone (EEZ) surrounding Aves, a narrow sand bar less than 1,300 feet long in the eastern Caribbean Sea roughly 140 miles west of Dominica. Secured by a Venezuelan naval force in 1950 and stationed with a permanent scientific mission in 1978, under Venezuelan President Hugo Chávez’s administration the island has seen shipments of soil transported from the mainland and artificial reefs built to keep the island, which can be completely submerged during hurricanes and high tide, above water. In 2004 the Venezuelan military established a small outpost on the territory, the building having to be constructed on stilts due to the lack of available firm ground. Behind Caracas’ claim to Aves – and the EEZ around it – lies economics. The waters in the eastern Caribbean are excellent fisheries and are thought to contain large undersea oil reserves. 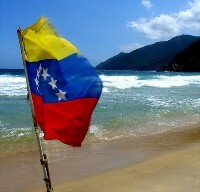 However, some Caribbean countries dispute Venezuela’s EEZ claim, arguing that Aves does not satisfy the UN's definition of an island and is in fact a rock, a status that permits considerably fewer rights. Furthermore, Caracas’ position on the issue has left many Caribbean island nations with reduced EEZs, limiting the area their fishermen are able to troll, and expanding Venezuela's influence in the basin. In 2005, Venezuela launched its Petrocaribe initiative, allowing eastern Caribbean countries to purchase oil from Venezuela under preferential loan conditions. Following this offer most disputes over the legitimacy of Venezuela’s claim to Aves were dropped, however objections remain over the EEZ associated with the claim. Venezuela also has a maritime dispute with Barbados, originating in 2008 when the island nation began drilling offshore in an area of the Atlantic Ocean also claimed by Caracas. The claim is not recognized by the United Nations. Moreover, Venezuela maintains an ongoing border demarcation disagreement with its eastern neighbor, Guyana. During a July, 2010 visit to Venezuela by Guyanese President Bharrat Jagdeo, Chávez reiterated a longstanding claim to all of Guyana’s territory west of the Essequibo River. Venezuela supported a failed uprising by indigenous groups in the mineral-rich region in 1969 and in 1981 refused to renew a commitment to table the issue. While relations have improved since then, Caracas has occasionally been accused of trans-border aggressions against mining communities and still features the disputed territory, which constitutes 75 percent of Guyanese territory, in official maps as sovereign Venezuelan territory. Chávez created concern among Dutch officials earlier this year by accusing Dutch military aircraft stationed at the nearby Netherlands Antilles island chain of violating Venezuelan airspace. The Venezuelan president has repeatedly accused the Dutch, who control the island’s foreign and defense policy, of facilitating a U.S. invasion of his country by allowing U.S. forces to be based on the island of Curaçao. Venezuela has laid claim to the Dutch island territories, located just a few miles off its coast, since the 1940s. Over the past decade, Trinidad and Tobago—6.8 miles from Venezuela at its closest point—has experienced a surge in drug-related violence linked to arms and contraband crossing the maritime border. In 2005 it made the largest drug seizure in its history, seizing a 1.75 ton shipment of cocaine being smuggled in from Venezuela. Port of Spain alleges Caracas has been ineffective in controlling cross-border activities, allegations similar to those made by Colombia at an emergency meeting of the Organization of American States last month. Access a map showing Venezuela's territorial claims and borders. Read an AS/COA analysis of the situation on the border between Venezuela and Colombia. The United Nations provides a collection of treaties that demarcate Venezuela’s maritime boundaries. The Hague Centre for Strategic Studies provides a report detailing Venezuela’s impact on the region. The U.S. State Department provides a profile of Venezuela. The U.S. Congress Research Service in April drafted a report on illicit drug trafficking in Latin America and the Caribbean.